Choreo is Broadway Control in a three-gang wall box! 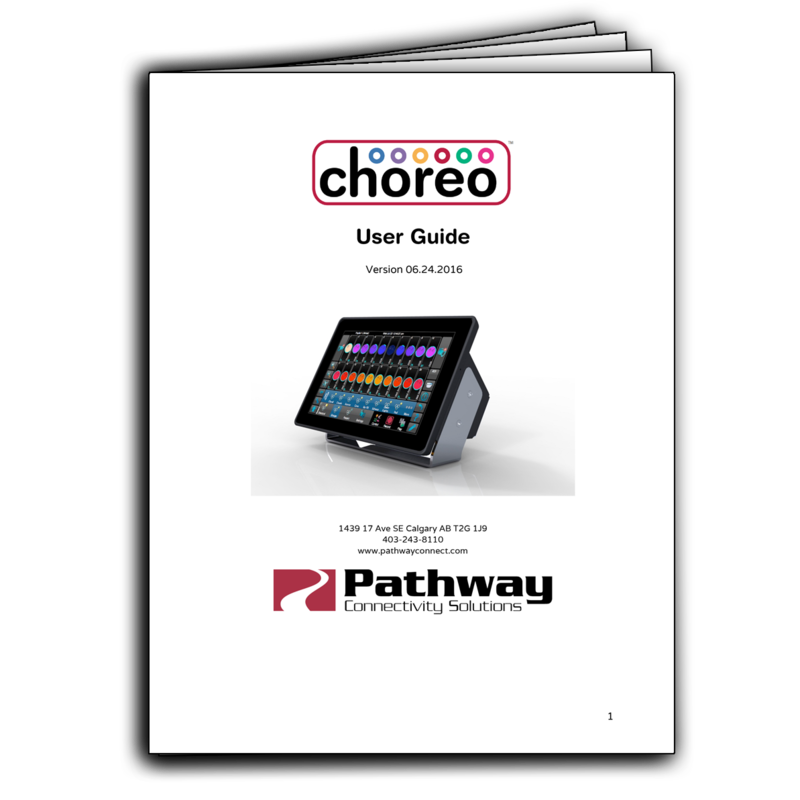 Choreo™ Lighting Controller provides full-featured, stand-alone programming and playback for DMX512 lighting systems, all in a three-gang wall box. Choreo’s natural language interface makes the selection of lights, adjustment of their attributes, and the recording of reference libraries, memories and cues fast and simple. 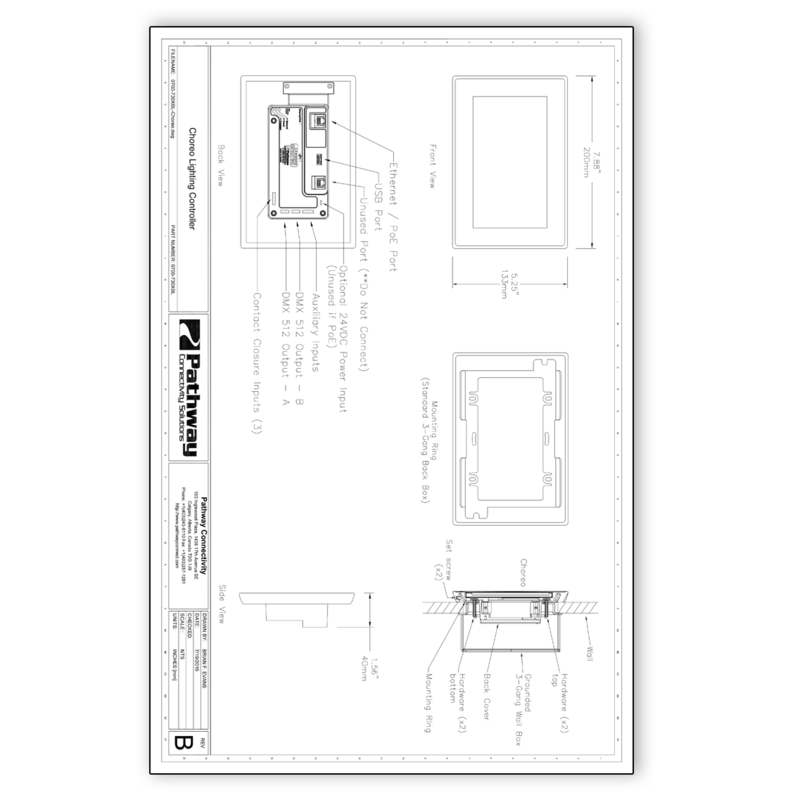 Once programmed, use the screen as a virtual button/fader station, or run shows from time code, serial input or contact closures. 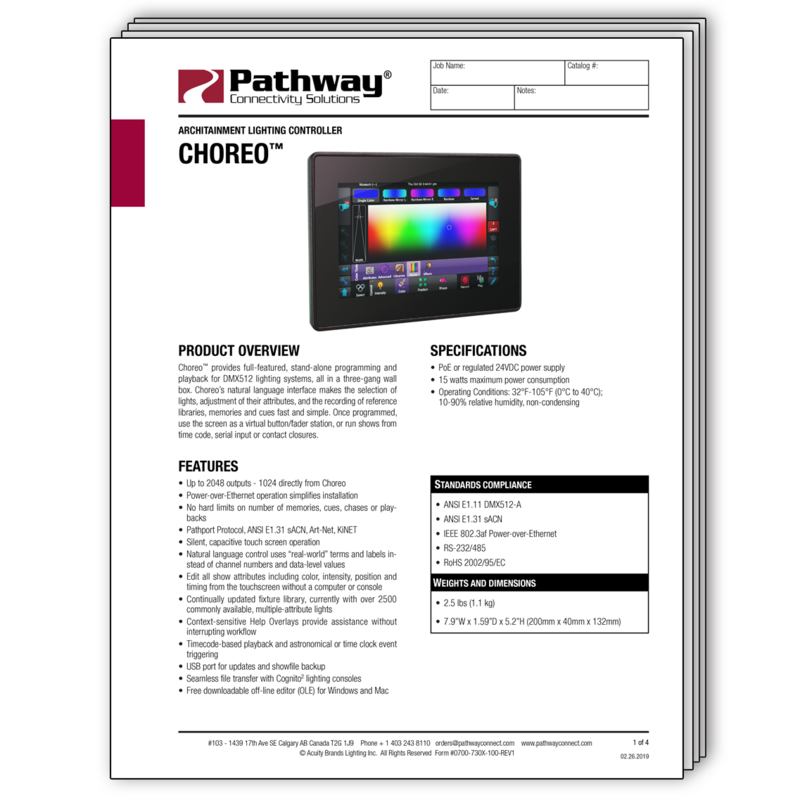 Choreo Lighting Console is available in 512, 1024, 1536, and 2048 versions.